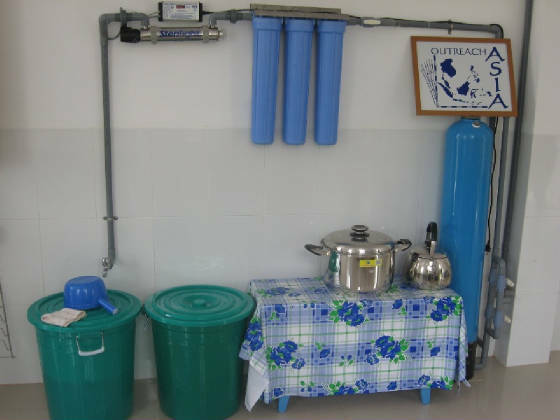 The 1st photo below shows the type of make shift toilet that is being used now. These toilets are called "fish toilets" or "Cau Ca". 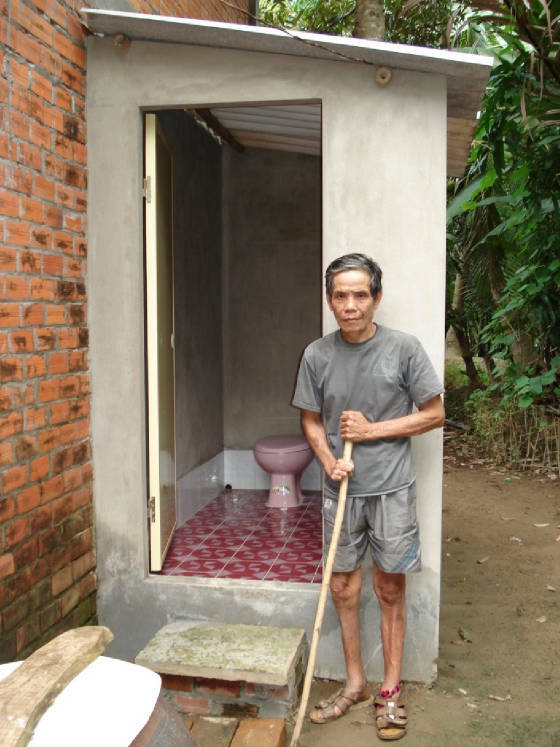 The 2nd photo shows one of our new toilets which can be built for $380 and not only provides the disabled person easy access but also saves the environment. This man is aflicted with leprosy. 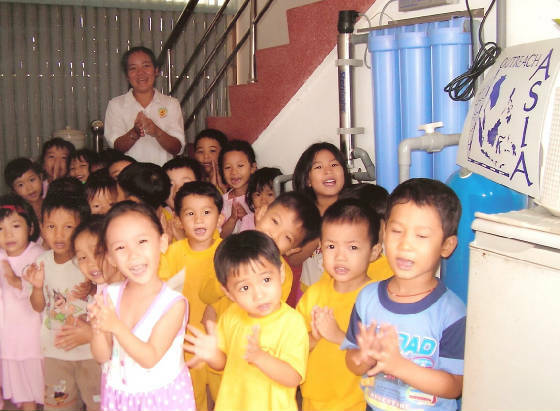 Outreach Asia continues to support several small kindergarten schools and villages in Vietnam. 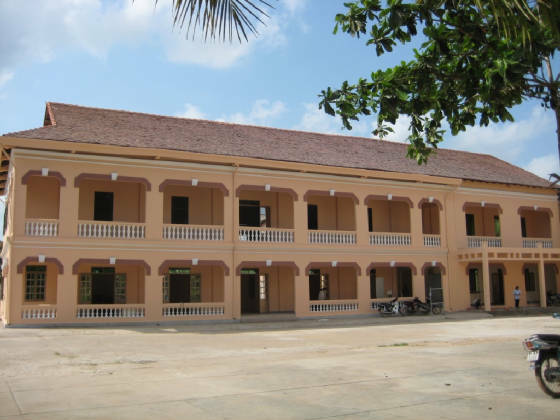 Our newest project, which is in the fundraising stages now, is the renovation of an old school building on Ben Tre Province. 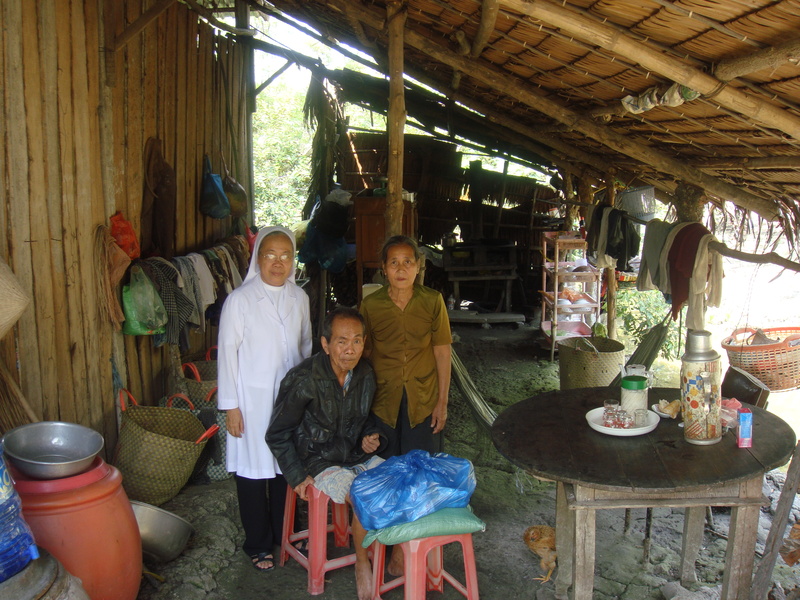 This building was recently handed back to the "Sisters of The Lovers of The Holy Cross" and will be used for vocational training for young women of Ben Tre Province to support their livelihoods. 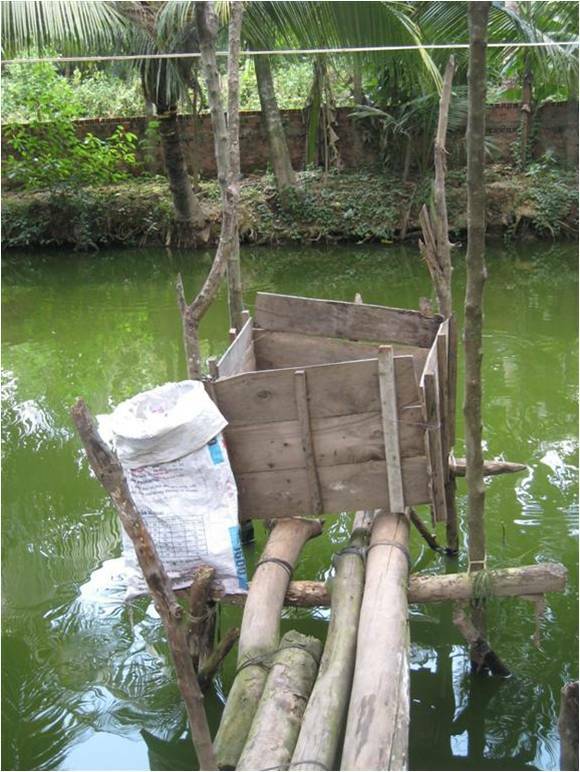 Ben Tre province is a predominantly agricultural and remote region in the Mekong Delta of Vietnam. The province covers 868 square miles and has a population of more than 1.3 million people. Poverty prevails in this region, with residents having little to no access to health care, support services, education and employment. Most of these peasants attempt to eke out an existence from subsistence farming, animal husbandry and casual labor. They live in homes made of woven coconut or palm leaves that provide minimal shelter from the weather extremes of the tropical climate that is susceptible to monsoons. Harvests are particularly vulnerable to flooding and yields continue to decline due to additional factors such as outdated agricultural methods, limited knowledge, and the rising costs of pesticides, herbicides and fertilizers.The average monthly adult income is equivalent to a mere $20 US. It is far less for those who are ill, disabled, and who lack work skills. Due to the extreme poverty and limited employment opportunity of the region, many residents migrate to cities and even other countries - such as Taiwan, China and Malaysia - in desperate search of jobs. Particularly hard hit are the younger residents of Ben Tre - especially young women and teen girls - who are lured away by the promise of gainful employment. These girls and young women commonly fall victim to human trafficking, prostitution, forced labor, and other forms of exploitation once they leave the province. In their attempt to escape poverty and help their families, many even agree to arranged marriages that are too often characterized by domestic abuse or even forced suicide. Low educational attainment is a significant factor in limiting employment options for these young women and teen girls. Geographic isolation and poverty pose formidable barriers that have long denied them access to high school or advanced training within the region. The most effective approach to break this destructive cycle is to provide local access to vocational training opportunities that will give young women and girls the skills and training to find gainful employment within their home province. 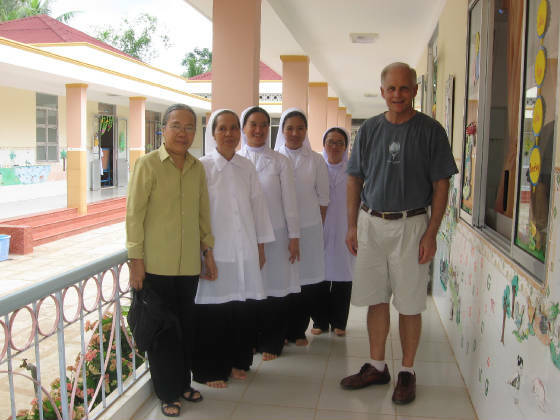 Ben Tre is part of the Vinh Long Diocese and is served by the Religious Sisters of the Lovers of the Holy Cross Congregation of Cai Mon. 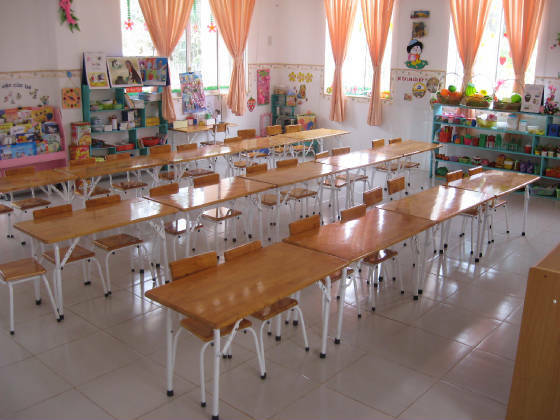 In early 2009, after more than three decades, the local government gave back one of Congregation's former schools for re-use. 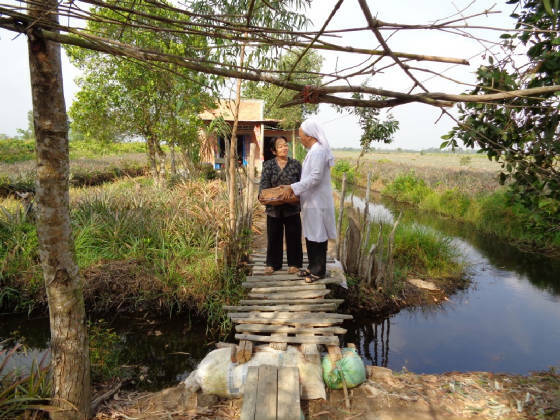 Although the once beautiful facility is now vacant and in significant disrepair, it stands as a visible reminder of the potential to rebuild local educational and economic opportunity for the people of Ben Tre province. 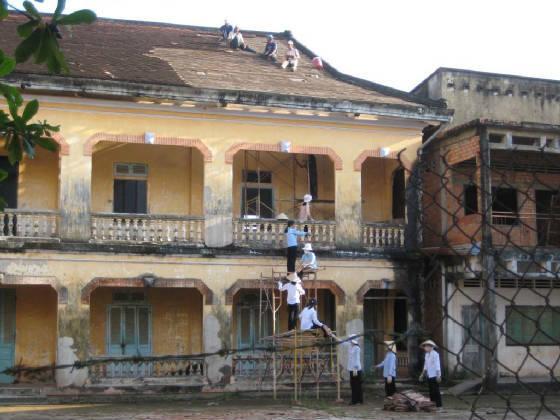 The reclamation of this historic building presents an opportunity to restore the old school as a regional Vocational Training Center for the young women and teen girls of Ben Tre province. Next Rice and Noodle Program will begin January, 2019. Please consider a sponsorship of $35.